After a hectic week of orientation, the beginning of classes, and pre-orientation for some, many First Years wanted nothing more than to rest during their first full weekend as college students. But many decided to ignore their bodies’ pleas for sleep and spend the nights participating in Summer to Fummer. The College Entertainment Committee (CEC) organized nearly a dozen of fun events that took place between Thursday, August 30, and the following Saturday. Events included the start of the House Games, a performance night, Bingo in Ben’s Underground, laser tag, and a showing of Avengers: Infinity War. They were very popular among First Years, but also open to other students of the school. Many of the events took place in one of the five College Houses, including Wareoke (which, yes, is karaoke in the Ware Common Room) and Brooks House’s signature Sundae Sunday (although its name may have been deceiving, as the event occurred on a Thursday night). The cross-campus set-up allowed First Years to explore parts of the residential area that they may not be familiar with, and gave them a great opportunity to mingle with students of other Houses. Unfortunately, the weather did not cooperate with some campus activities, as the outdoor events had to turn to their rain locations. For example, nobody wanted to watch Infinity War on Hartman Green while it rained, and just as few people were willing to play tug of war and kickball on the muddy grass. However, the subpar weather did not deter first-year Alice Wright from having fun at seven of the weekend’s events. After sitting through four days of Orientation and three days of classes, she was ready to go out and have fun with some friends. 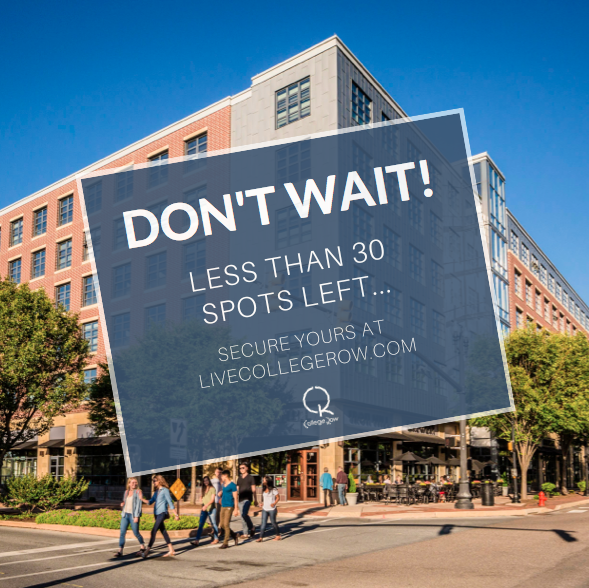 “With Orientation, you were kind of just stuck with your House and your hall, but we got to branch out more [at Summer to Fummer],” Wright explained. And she was not the only student who wanted to go out and meet new people. The four campus a capella groups performed in a concert to a packed room at Ware, and, as soon as they finished, many First Years-including Wright-took the mic and performed karaoke for the next couple hours. This was not the only event that had a solid turnout. 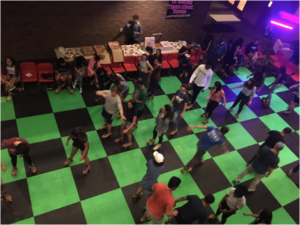 Dozens of students roller skated at College Center, played laser tag at the ASFC, and showed up for the “Wii Just Dance Night” at Bonchek that ran into technical issues and rebranded itself as a place to hang out and eat pizza. But not every event benefited from overwhelming turnouts. Ware represented itself well at the House Games, but they outnumbered the meager numbers that the other Houses was able to send-including the single participant from New. However, those who attended certainly had lots of fun, and Wright hopes that more will attend future competitions between the Houses. With the weekend being nothing more than a memory at this point, Wright is content with how everything went, including how she was able to express herself. First-year Jeremy Mauser is a Contributing Writer. His email is jmauser@fandm.edu.